This episode is a two-for-one special. We read both Nnedi Okorafor’s Binti and Binti: Home. Listen in for a discussion about diversity in sci-fi, the power of lotion and Steven Universe. We promise it all makes sense in context. Don’t forget to join us next month when we read Kindred: A Graphic Novel Adaptation. Got a book you think we should check out? 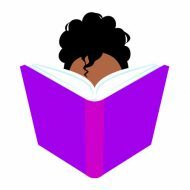 Tweet us at @blackchicklit. Also, be sure to rate, review and subscribe on iTunes.